BOB’S RED MILL ORGANIC CHIA SEEDS PROVIDE ONLY THE NATURAL POWER OF THE CHIA SEED NOTHING ADDED OR REMOVED BECAUSE WE BELIEVE THAT NATURE GOT IT RIGHT THE FIRST TIME. PACKED WITH OMEGA-3 FATTY ACIDS THIS WHOLESOME FOOD HAS AN EXCELLENT COMBINATION NUTRIENTS THAT ARE ESSENTIAL TO HEALTH. EAT THEM IN A VARIETY OF WAYS. ADD THEM TO PUDDINGS AND SMOOTHIES OR SPRINKLE ON TOP OF A SALAD. 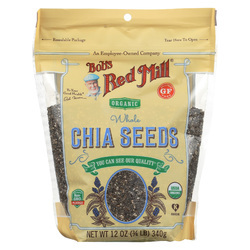 CHIA SEEDS CAN ALSO BE USED AS A HEALTHIER ALTERNATIVE TO FLAXSEED MEAL OR POPPY SEEDS. 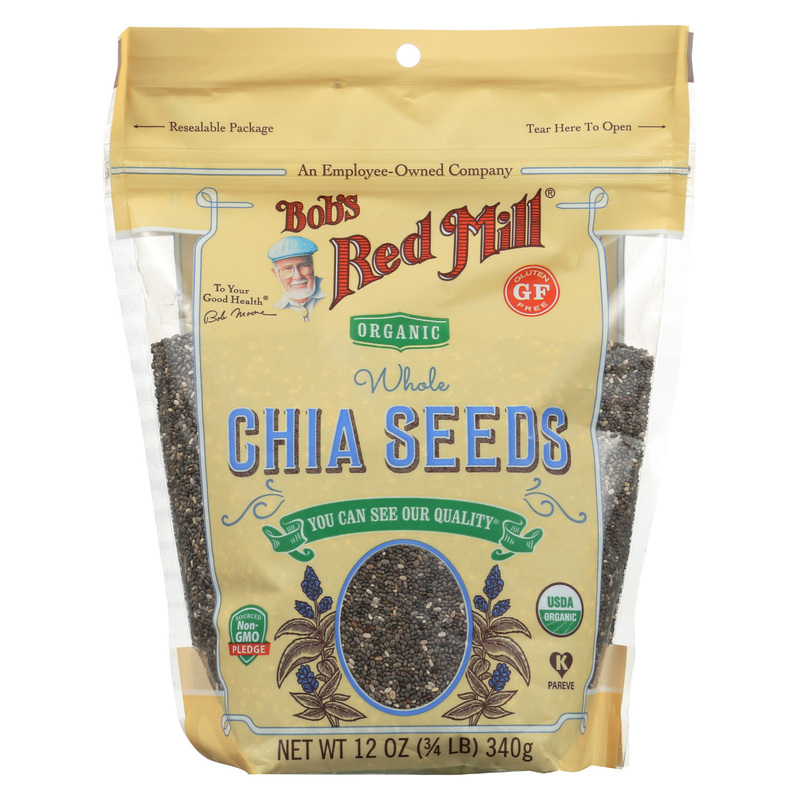 THE ORGANIC CHIA SEEDS ARE VEGAN FRIENDLY, GLUTEN FREE, NON-GMO, AND ORGANIC. INCLUDES 12 OZ OF ORGANIC CHIA SEEDS. SEE NUTRITION FACTS PANEL FOR ALLERGENS. INSPIRED AND BUILT ON A LABOR OF LOVE, BOB’S RED MILL IS AN EMPLOYEE-OWNED COMPANY DEDICATED TO BRINGING YOU PURE AND SIMPLE PRODUCTS. WE WANT TO HELP MAKE YOU A LITTLE HAPPIER AND A LITTLE HEALTHIER BY PROVIDING NATURAL FOODS THAT YOU WILL LOVE.